Big decisions are coming at the Encinitas City Council, including marijuana regulations, boundary lines for new City Council districts, zoning for housing on vacant land, and a plan for rail corridor improvements. While those issues are in process, other important decisions continue. Encinitas is continuing its focus on providing better and safer routes to school. 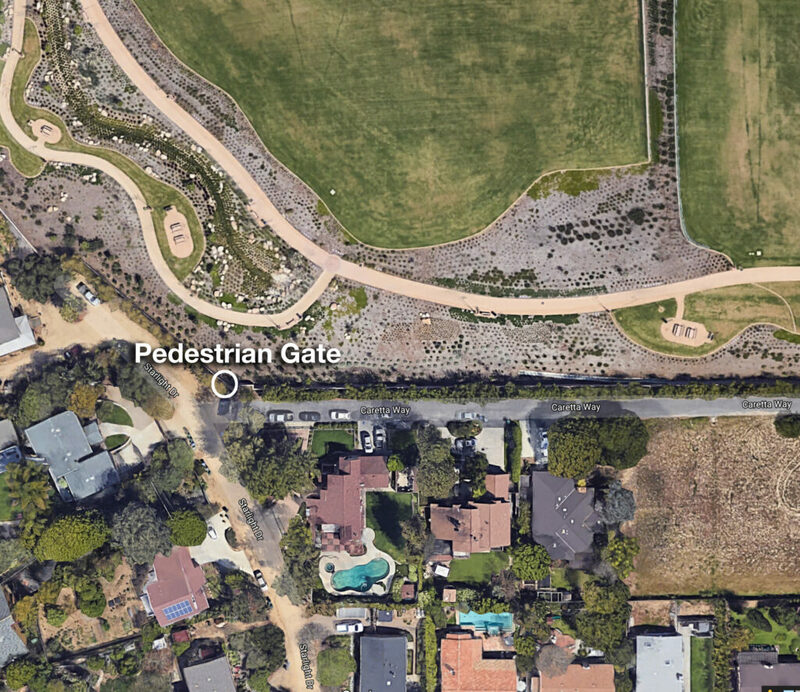 Last week we heard from 18 speakers and ultimately approved an exciting mobility project in Cardiff that will improve biking and walking options for local residents by providing a southern pedestrian entryway into the Encinitas Community Park at Starlight Drive. Children will have an easier time using the park to get between school and home; and families south of the park won’t have to get in their cars to drive around to a park entrance. While the park was tremendously controversial for many years before its construction, it’s now up, running and very popular. We need to be proactive about making needed improvements so the park is the best community asset it can be. The City Council directed the city staff to work with the six homeowners on Starlight Drive to determine their preferences related to the condition of their short road. The city could pave and maintain it, or the road could remain gravel with the city maintaining just the four-foot biking and walking path. The city listened carefully to input from all parties, thoroughly explored alternative biking and walking options, and it was clear that this option was the best choice for locals. We believe this upgrade will be recognized as a welcome enhancement to our mobility in Encinitas. 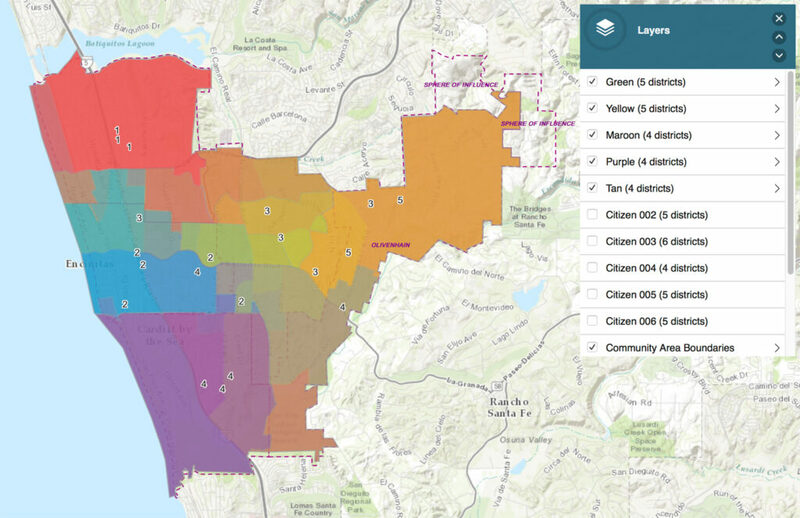 Suggestions for Encinitas’ new voting districts can be explored online using this interactive web tool. We’ve begun to review maps for City Council voting districts and we’ve heard consistent feedback from the public about the importance of preserving, as closely as possible, the city’s community boundaries, instead of splitting neighborhoods in order to have multiple representatives with a stake in each community. One idea had been to have four horizontal districts that all had a stake in the coastline, but that doesn’t appear to have gained much traction. The council appears divided on whether to keep the city’s directly elected mayor or return to the rotating system that voters soundly rejected in 2012 when they voted to elect our mayor at large. Districting does not require that residents lose their directly elected mayor, and every other city that has recently moved to districts has maintained it, including Carlsbad, Poway, Oceanside and Vista. I believe that most residents would prefer to directly elect two people – their mayor and their city councilmember – instead of just one person. I also believe it’s a better governance model to have at least one elected official accountable to every city resident. Many issues affect all of Encinitas – such as our Sheriff’s contract, our fire department, pension debt, the quality of our roads, business vibrancy, and an even distribution of new housing. So I won’t be supporting any plan that would eliminate our directly elected mayor in favor of rotating the position among City Councilmembers elected by just 20 percent of the city voters. That system would mean that most of the time your mayor would be someone you didn’t (and couldn’t) vote for, who was accountable to just a small segment of the voters. Because of the complexities of choosing the right map, we’ve added a special City Council meeting at City Hall on Monday, Oct. 30 at 6 p.m. to continue exploring our options. If you’re interested, you can draw and submit your own map here before October 18th. And here’s a great online interactive tool that lets you see what other ideas have been submitted. Here’s the Encinitas Advocate story: City Council begins reviewing districting maps. • I’m very proud of the speed with which the city staff has tackled the installation of four 24-hour bathrooms and handwashing stations after I raised the profile of this issue locally and the council supported quick action. The Community Resource Center is having a free vaccination clinic on Friday, Oct. 20th from 8:30-11 a.m., with a focus on at-risk populations such as people without homes, and workers and volunteers who frequently interact with homeless people. Here’s a Coast News article about our efforts. • The Solana Center, located off El Camino Real, is doing a pilot project where they give you a bucket and you fill it up with your food scraps for composting by the Solana Center. They provide odor-killing additives and other necessary tools. What a great micro-composting idea from this creative and dedicated local group trying to reduce the amount of green material in landfills! The Coast News article is here. • Governor Brown signed AB805, a bill that changes a number of important things at our regional transportation agency, SANDAG. Contrary to the assertions of many, I believe Encinitas’ influence will actually increase because of the reality of party politics that takes place at an agency with 18 mayors. We’ll all be watching to see how it plays out over time. A Coast News article is here. It seems #EncinitasLife is always busy, but that’s the fun of it! I hope you’re enjoying yourself, too.